This photo was taken in February of 1935 from an altitude of 2,500 feet, viewing in a generally west to east direction. 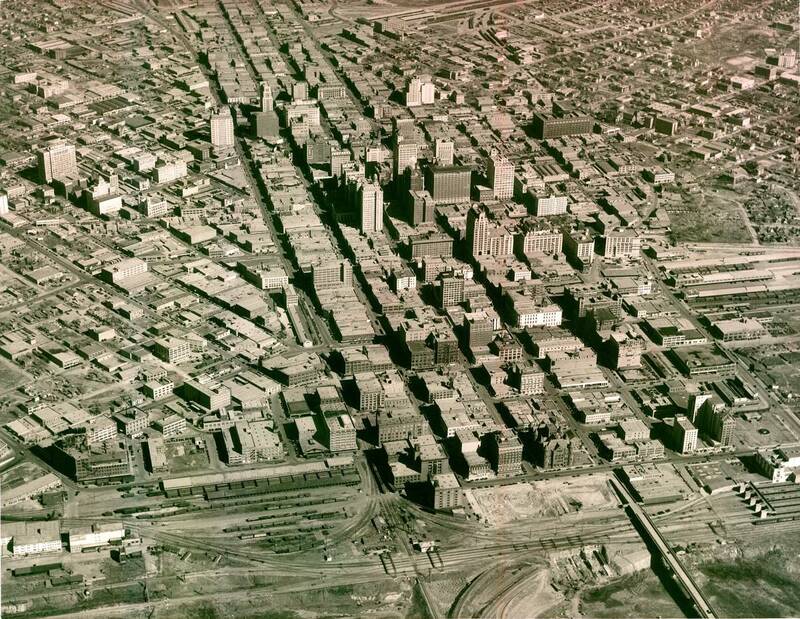 Notice that there is not a freeway in sight... I75, I35, I30, Woodall Rogers.... are years from being constructed. "Old Red", the old Dallas Courthouse, is prominent in the west end foreground. Note also that the confluence of Elm, Main, and Commerce Streets at that end of town are also in the future.